Door casing kit for site assembly; Mortice and tenon joints for easy assembly. Hardwood Door Frames are now supplied with the XL Joinery weatherstrip WSTRIP - for 2 stiles, and 1 head. Hardwood Door Frames are supplied with the XL Joinery weatherstrip WSTRIP - 2 stiles, and 1 head. An aluminium door sill can be fitted on top of the hardwood sub-cill where required; It is best to trim top and bottom of the door to keep within the XL trimming limit of 12mm per edge, on external doors. It is possible to trim off all from the bottom, but this would be at you own risk. XL Joinery recommend fitting a rain-drip on the head of the door-frame (as well as at the bottom edge of the door) to deflect rain away from door. XL Hardwood Door Frames have a copy of the manufacturers instructions included in the packaging. - XL Door Casings cannot be exchanged once work has commenced. 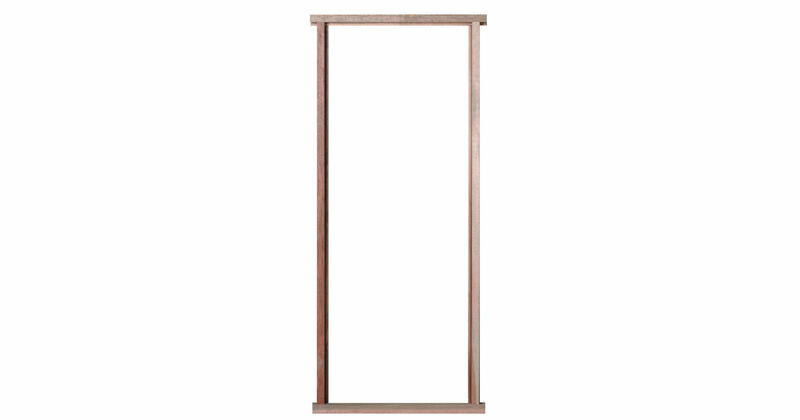 - We cannot exchange Door Frames after order - XL Hardwood Door Frames are supplied as a Special Order. Payment - We can take Debit Card, BACS, Cash, Cheque or Credit Card payment online for XL Hardwood External Door Casings.